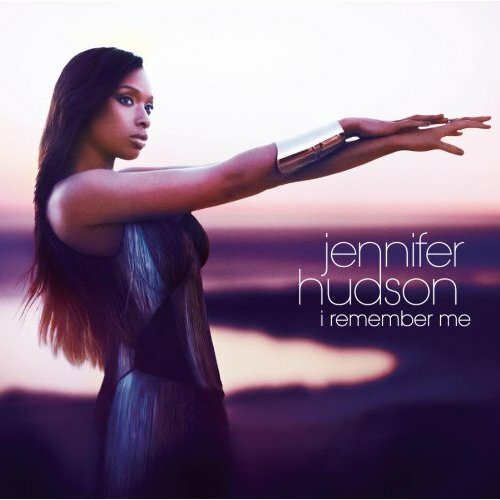 StageBuzz.com: Album Review - Jennifer Hudson's " I Remember Me"
At least that's what Jennifer Hudson's saying in "I Got This," a smooth groove self-empowerment anthem from her sophomore effort "I Remember Me" : "And if you feel what I'm feeling / don't be scared to say it with me." It's the attitude that pervades "I Remember Me" and while it might not be the kind of album that rattles critics into apoplexy -- you'll have to check out Adele's "21" for that -- the breezy, soulful 12-track set shows Hudson at her loose, powerful and full-throated best. This album's fun. And this woman deserves it. After the tragic loss of her mother and brother in 2008, the 2009 birth of her son, and her recent 80-pound weight loss thanks to Weight Watchers, Hudson's been through a lot. But "I Remember Me" isn't an album weighted down by sturm and drang. Instead, it's a bright soul-flavored R&B album that paints Hudson as a woman who's taken that walk through the dark night of the soul and emerged from it strong, powerful and hopeful. And of course there's the voice: emotionally transparent in the big moments and achingly vulnerable in the quiet ones. Everything we loved about her devastating turn in "Dreamgirls" is on full display here. Highlights on the album include the moody and lovely "Where You At" -- it's a great showcase for her powerhouse voice -- and the pop-flavored "Gone," which avoids being completely forgettable thanks to Hudson's emotion-rich delivery. There's also musical playfulness at work here. There's a yummy throwback to '90s dance sounds ("Everybody Needs Love" easily would have been a CeCe Penniston hit), and a funky '70s-flecked groove called "Don't Look Down." And don't forget her fresh take on the classic "Feeling Good." And for those who are looking for a musical answer to her rough few years, Hudson brings on the tears with 'I'm Still Here," a beautiful tribute to those that are gone but still close to our hearts. It's an emotional peak, and a recognition that tragedy breeds triumph in those who are strong enough to face it with grace. That's definitely Jennifer Hudson, and "I Remember Me" is worthy of this phenomenal talent. The entire culture needs to be changed?